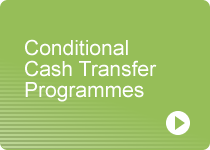 Conditional cash transfer (CCT) programmes try to reduce poverty and strengthen the human capital of its beneficiaries. This database provides data on expenditure, coverage and amount of the monetary transfers, as well as detailed information on the different components of CCTs in Latin American and Caribbean countries. 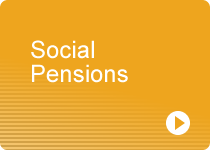 Social Pensions consist of monetary transfers associated to old age or disability that the State provides to those who have not been working in the formal labour market or have not made contributions to social security during their working life. This database provides data on expenditure, coverage and amount of the monetary transfers, as well as detailed information on the different components of social pensions in Latin American and Caribbean countries. 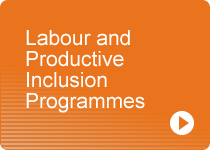 This database collects information on labour and productive inclusion programmes targeting persons living in poverty or vulnerability. These programmes are characterized by interventions in the areas of labour training, adult education, direct and indirect employment generation, support to micro entrepreneurship and labour intermediation services.